We have looked forward to this collective trip for almost a year now filling the interim with research, reading, drooling over online menu’s, planning day trips, bakery visits, resturant stops and all things northern California. Randomly choosing a lunch stop in Petaluma was our first home run. Wow. Sugo Trattoria was a huge find. 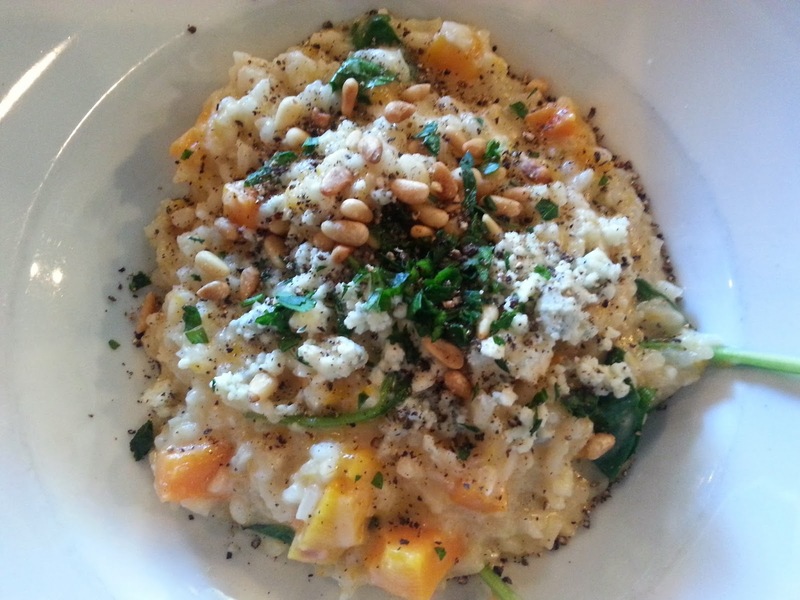 Understated but beautiful and I had the Butternut Squash Risotto (with gorgonzola, spinach and pine nuts) was killer. Kathryn enjoyed the Filet Salad with the same reaction. wow.. aren’t we glad we stumbled on this place! Last evening we joined Ellen and Joyce for dinner at Diavola Pizzeria in Geyserville for another incredible dinner. Gluten Free Pizza that was crispy, light and topped with arugula, prosciutto and mascarpone. Ellen is still raving about the Roasted Bone Marrow. This entry was posted in Travels and Meanderings by admin. Bookmark the permalink.